Join the Dodger Thoughts March Madness Tournament Challenge here. You might remember Paul Haddad, the longtime Dodger fan whose childhood audio recordings of Dodger broadcasts provided source material for the ESPN documentary Fernando Nation. Haddad has now published a book based on those recordings: High Fives, Pennant Drives and Fernandomania — A Fan’s History of the Los Angeles Dodgers’ Glory Years, 1977-1981. 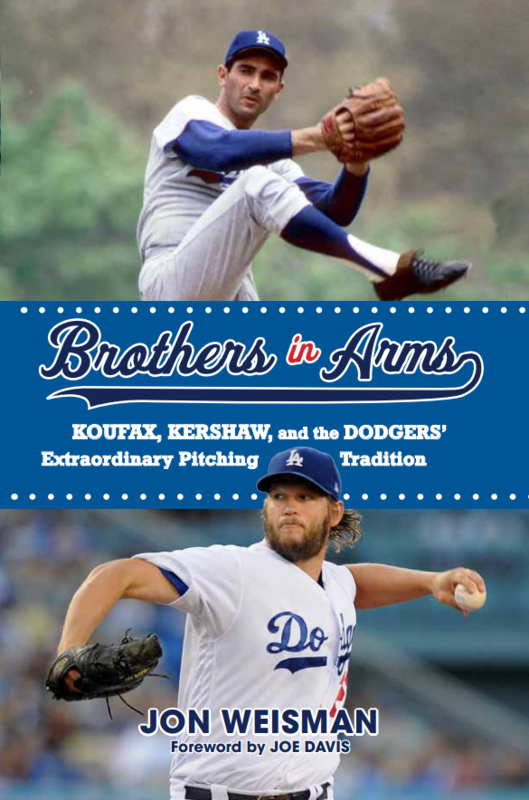 It’s a fun, sprightly read that I think any Dodger fan will enjoy. I was honored to be asked by Haddad to write the foreword, but you can find out much more about the book at Haddad’s website, Dodgerglory.com, including book excerpts and samples of some of Haddad’s recordings. Perhaps you might start by hearing Vin Scully call an inside-the-park home run by Davey Lopes in 1978, or Joe Ferguson’s memorable homer on the final Friday of the season to beat Houston in 1980. A treasure trove, I tells ya. That’s not all from the bookshelf today. My past newspaper colleagues and longtime friends, Dodger team historian Mark Langill and publications director Jorge Martin, have put together a book, Dodgers: From Coast to Coast – The Official Visual History of the Dodgers, with 256 pages of first-person essays by past Dodgers, classic magazine articles and wonderful photos. Vin Scully wrote the foreword. 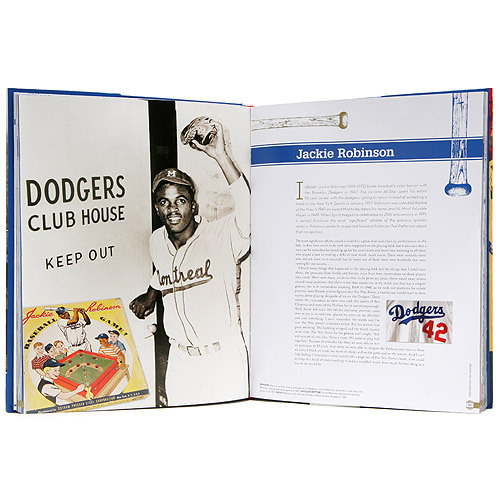 It will be released the day of the Dodgers’ home opener, April 10, and you can also order it online. Looks like another keeper. How big a gap between the Dodgers and the NL West favorites? Thanks for letting us know, Jon! Domestic harmony is easier as soon as you surrender and go along with the fact that you have no taste at all due to being male. The compromise is to carve out one room for yourself, preferably not the smallest room in the house. That room is usually better known as the back yard. but most frequently “dog house”. At least they avoided major injuries. Unless they’re keeping it as a private matter. I hope it wasn’t the product of corporal punishment. Even you, Jon, have to admit this is pretty rank. Great photo of our announcers. I love the way the outfield wall looks. I wish we could go back to that look. Actually, it looks more like they’re counting on Gregor Blanco. Nice to see a picture of the Three Musketeers. Here’s a thought: they were a team for 11 seasons. Later, The Vin, Ross, and Rick Monday were a team for 11 1/2 seasons. 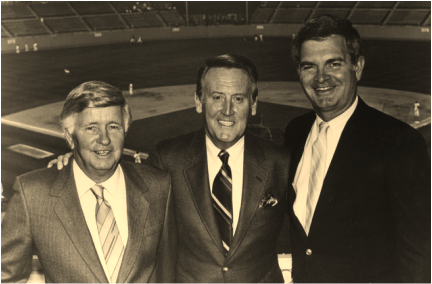 The only three-man crew in baseball to work together longer were Lindsey Nelson, Ralph Kiner, and Bob Murphy–17 years with the Mets. And if Frank McCourt hadn’t been Frank McCourt, now The Vin, Ross, and Rick would be up to 20 years. By the way, I thought it only fair that since he is who he is and there is none other, he is entitled to be not merely Vin, or Vinnie, or our Vin, but The Vin.